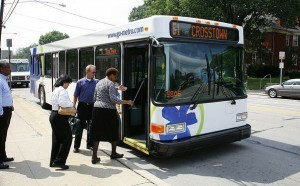 Metro officials have announced that fares will not rise, and service will not be reduced in 2011. The news comes as the transit agency faces declining ridership, and many feared that more fare increases or service cuts would be on the way. In August, Metro restored service to a portion of Lower Price Hill that had previously fallen victim to an earlier round of service cuts. Now, the transit agency says that they have been able to balance their upcoming $86.5 million budget thanks to newly announced funding from the Ohio Department of Transportation (ODOT) that is programmed to help with capital costs. The $4M funding allocation from ODOT came through the department’s 21st Century Transit Partnerships for Ohio’s Next Generation which distributed $50 million in 2011 to transit systems across the state. Metro officials warn that even though the 2011 budget appears to be in order, that future fares and service structures will continue to face pressure. Leadership says that while fares have stabilized, insufficient funds exist for capital projects like the replacement of buses beyond their 12-year useful life. “We have examined every expense and tightened spending for the coming year to preserve service for our customers and keep fares at their current level,” Hock explained. The proposed 2011 budget will go before Cincinnati’s City Council who would provide approximately 45 percent of Metro’s 2011 budget through the city’s earnings tax revenue. Metro officials have also announced that Hollywood Casino Lawrenceburg will sponsor the new Route 1 bus service. The partnership will include naming rights to the route in addition to typical bus advertising including promotions for Hollywood Casino on the back of each of the four, 30-foot hybrid buses on the route. “As a tax-funded organization, this type of partnership is important to help Metro better serve the community,” said Dave Etienne, Metro’s Marketing Director. Meanwhile, leaders at Hollywood Casino see the partnership as one that will help benefit their bottom line.